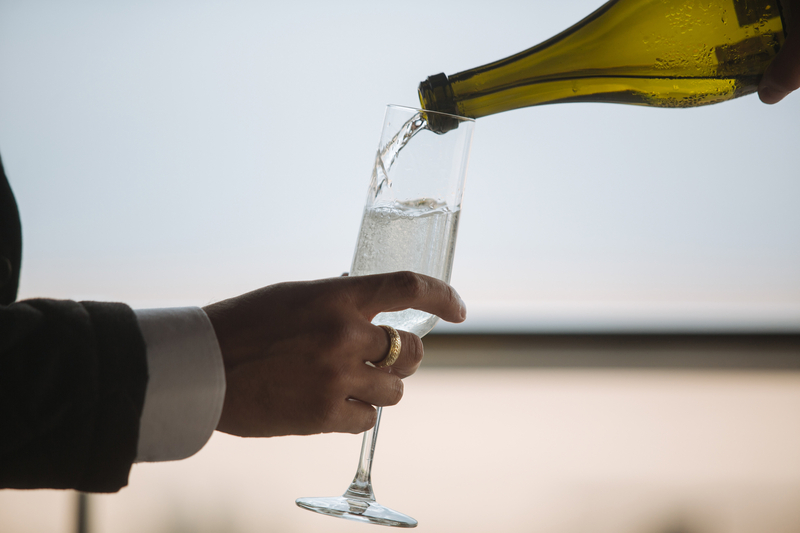 Since both champagne and sparkling wine contain tiny suspended bubbles of carbon dioxide, many people make the mistake of assuming they are the same beverage. However, there are some crucial differences between the two, and although all champagne is sparkling, not all sparkling wines are champagne. Here is an explanation of how both are made. Sparkling wine is any wine variety that contains either natural or artificial carbonation. Traditionally, sparkling wine is made by fermenting grapes in a winemaker, blended with a small amount of sugar and yeast, and then letting the wine ferment in bottles to create a second fermentation. However, many modern sparkling wine manufacturers use different methods to impart those characteristic bubbles, including the same type of carbonation process used to create soda. Common varieties of sparkling wine include rosé, prosecco, and sekt. The creation of champagne is very specific and tightly controlled. True champagne is made only using grapes from the Champagne region of France since the soil in this part of the world is moist, nutrient-rich, and perfect for creating the special types of grapes used to make the drink. To carbonate the wine, master champagne makers use a method called Méthode Champenoise, a technique used to disperse the CO2 trapped in the bottle to carbonate the wine. The key difference between champagne and sparkling wine manufacturing is the second carbonation always occurs inside the bottle in champagne, while carbonation can be performed in six different out-of-bottle ways for sparkling wine. The next time you need champagne for an event, visit Martin Brothers Wine & Spirits on the Upper West Side. This trusted wine and liquor store is committed to carrying the best products that are crafted all over the world. Find featured lists of wines and liquors on their website. Ask about their inventory by calling (212) 222-8218. Don't Forget: Stop By Our Wine Tasting Event TODAY! Warm Up With Our Winter Wine Tasting This Saturday (12/8)! Need to Unwind this Holiday Season? Visit Our Upcoming Wine Tasting Event! Coming Soon: Our Annual Holiday Wine Tasting!